Nicholas Baker joined IMG Financial Group, Inc. in 2016. He graduated with a Bachelor of Science degree from Texas A&M University, where he was a member of the Corps of Cadets, Fightin’ Texas Aggie Band, B-Company, and the General O.R. Simpson Corps Scholastic Honor Society. During his time in the Corps of Cadets, he gained many valuable skills such as discipline and attention to detail, in turn using these abilities to help guide his clients. Nicholas has a passion for helping others through a personal, values based approach and enjoys incorporating this passion into his financial services practice. He enjoys the personal growth others receive as a result of a successful client-advisor relationship. He uses these attributes, and a progressive approach to financial strategies to help his clients set and attain their financial goals. 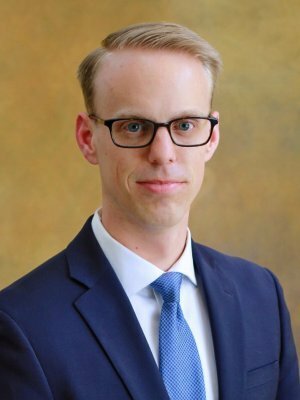 Before starting at IMG Financial Group, Inc. Nicholas worked for Foresters Financial Services where he served his clients investment, retirement and risk-management needs. As a leader in the Houston Texas A&M Club for former students, Nicholas serves as the chair for the Traditions Luncheon as well as the chair for Houston Aggie Muster in 2017. Nicholas grew up in Huntsville Texas but currently lives in the Galleria area. While outside of work, he enjoys being a small group leader at his church, St. Laurence, and attending the men’s bible study.